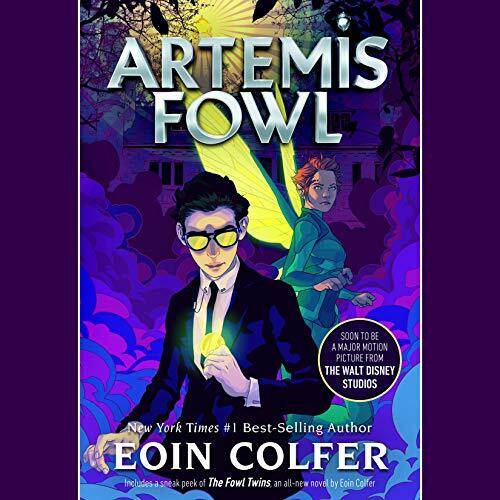 Listen to the entire Artemis Fowl series. Delightful. 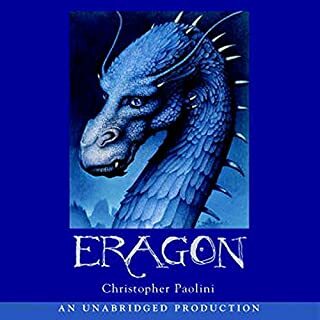 Good story, supposedly for children but much better appreciated by adults, made more enjoyable by an absolutely brilliant narrator. I've listened for two years and dozens of books and I want more narrated by Nathaniel Parker. His accents and dialects, pauses and ironic inflections increased my appreciation of the Artemis Fowl series. Both the author and the narrator need to do more! 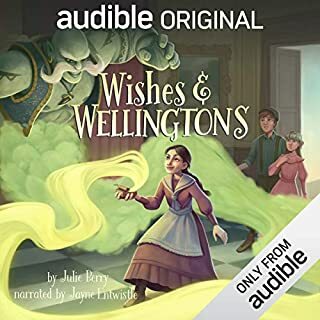 I have to do the rest of the series on Audible and not in print because of the pleasure I get from the spoken version. I felt like a drug addict, plugged into my ipod. Ignoring my family. Wonderful story. Wonderfully read. 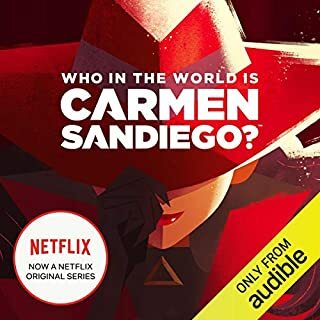 My favourite audiobook so far..and I've heard many! This was a great story. Hard to believe it is really a kid's book. Seems thoroughly adult to me. Lots of sly sarcastic jokes. What really made this book great though was the great narrator. He brought all the characters to life and really added to the excitement. It took me less than a week to spend both of my monthly credits on Artemis Fowl I and II. I'm hooked. The story is fast-paced and clever making it the pure escapist reading that I delight in. I'm not generally a sci-fi or a fantasy reader so Coffer's light-handed approach is really appealing to me. The narrator's voice is pleasant to listen to and the recording is clear and crisp. I like a good fantasy book, but ever since I read Harry Potter, I've started expecting a lot out of young adult fiction, and this one just didn't hit the mark. The plot was straightforward and not too complex, but the real lack was in character development. Very simple, one-note characters that never felt alive to me. Artemis, for example, is supposed to be 12 years old, but you wouldn't know it except that the author throws in lines here and there like "I shouldn't be drinking this because I'm a minor". I can believe that a child genius is planning this big plot, but I have a hard time believing that this genius is a child. 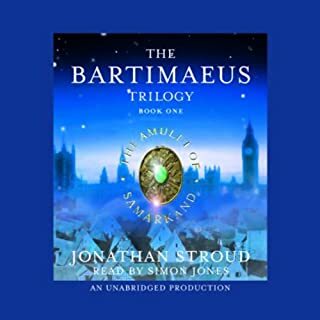 If you want a good example of a power-hungry, ambitious, greedy, self-absorbed child genius in a fantasy world, try "The Bartimaeus Trilogy" - while Nathaniel is not so much a genius, he is definitely a more believable child than Artemis. And the supporting characters are more developed, there is more humor, the plot is more complex, in short, a better book. I'll still give the next Artemis Fowl book a try, I just hope it reaches it's potential. As a mother of very young children, I'm always on the hunt for books that interest me, yet are kid friendly. (no cussing, vulgarity, etc) The Artemis Fowl books are wonderful. Yes, they are technically children's books, but they definitely have enough depth and plot to interest adults. 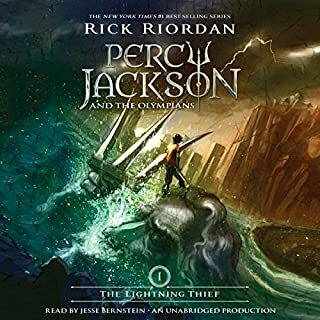 The narrator does an excellent job, and is one of the few I really enjoy. Beware- the fifth Artemis Fowl book has a different narrator. I didn't read any of the reviews before buying it and I really wish I had. It was a great book for my ten year old son. He was really drawn in by the characters as I was too. I've read or listened to three books so far, and have just downloaded the fourth book in the series. The third book, although not quite as suspenseful as the previous two, still holds interest of child and adult alike. The ending is especially appealing, hence the download of the fourth book in the series. I've found that whether I read with my son, or he reads the book along with the i-pod in the speaker cradle, the effect is the same...he wants to keep listening as long as he can stay awake. I can't say I blame him, I sometimes fall asleep as I'm struggling to stay awake only to wake the next morning with the task of figuring out where I was in the book when I lost consciousness. I like complex and intriguing books too, but for a quick read without too much thought, these books are very entertaining and ones that can be shared with your kids. This is a totally fun "read" for those times when all you really need is a trip away from the real world--if only for a few hours. 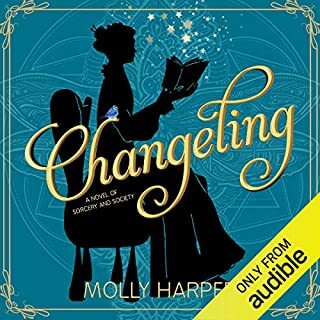 Just as Harry Potter made it seem very natural to have wizards among us this story makes me believe in the world of fairies--to use the book's generic term for all those beings that inhabit our fantasies. From the rock eating dwarfs to the scientific genius of the centaur that works with LEPrecon all the characters are fantastic. I bought the first book and couldn't put it down, so I had to get the second book as my second selection for the month. I can't wait for next month and the third book of the series. I hope Mr. Colfer writes many more in this wonderful series. A MUST!! I bought all 3 & listened twice! If you liked Harry Potter you will love this book. If you didn't like Harry Potter, you will still love this book. Funny, creative, the entire story will keep you wanting more. Be sure to listen to this story while you have a lot of time. You wont be able to turn it off! I don't want to tell you about the story. I don't want to ruin a great thing. Enjoy!